Take time to protect your equipment investments so they can serve you for years to come. If you work outside and use any equipment, you know rust and corrosion are a part of life. Exposure to water, salt and other environmental factors can cause even the newest equipment to corrode and rust. What can you do to protect your tools from corrosion, especially with the cold winter months fast approaching? Most of us know corrosion by its more colloquial name — rust. Rust can appear on any metal surface that is exposed to snow, water or other corrosive elements. What causes corrosion, though? Corrosion is the result of a chemical reaction between metal and the environment. Most commonly, this reaction occurs between unprotected metal surfaces and water. Without going into the complicated chemistry of turning iron into iron oxide, rust can be difficult to explain — but we'll give it a try. When water comes into contact with metal, the two materials start exchanging electrons. Water combines with carbon dioxide in the air and forms carbonic acid, which helps dissolve the iron atoms. As it dissolves, water will also start breaking down into its components — hydrogen and oxygen. When the oxygen atoms begin to bond with the dissolved iron, they form iron oxide, also known as rust. For this reason, most corrosion occurs in wet or damp environments. A quick visual inspection can confirm if your equipment is corroded. This should be a maintenance priority because moisture, dirt, and corrosion can drain your battery, among other damaging effects. So this begs the question, what can you do to protect your equipment from corrosion, especially if you work outside or in damp areas? This option isn't always realistic for people who work in a perpetually damp environment, like docks or swampy construction sites, but in some cases, it may be possible for you to modify the environment to reduce exposure to water that contributes to corrosion. Make an effort to store your equipment indoors whenever possible when it is not in use. Not only does this protect it from rain, snow and sea spray, but it is also an environment you can easily control. You can counter high humidity with air conditioners or dehumidifiers, both of which can reduce the potential corrosion. Another option is to coat your equipment with corrosion inhibitors. These chemicals work in one of two ways — they either interact with the metal surface of your equipment, preventing the chemical reaction that causes rust from starting, or they interact with the gases in the environment that cause the corrosion in the first place. The inhibitors aren't a perfect solution for preventing corrosion, but they can help slow the process, even in damp or wet environments. Petroleum refining and water treatment facilities frequently use these chemicals. Plating or coating your equipment's exposed surfaces can help prevent corrosion. These coatings are designed to interrupt the corrosion process by keeping the water and metal separate. For coatings, you can look into anything from acrylic or epoxy coating, to coatings that incorporate latex or need to be cured with radiation to create the best seal. Plating, on the other hand, creates a metallic barrier between the metal and water — some of the coatings need to be applied during manufacture, while others can be added later to help reduce the effects of corrosion. These also tend to have a fantastic decorative finish that makes your equipment look even better than it did when it rolled off the assembly line. Galvanic corrosion is a type of corrosion that occurs when two different metals are close to one another in a corrosive setting. This proximity most often occurs on things like ship hulls and oil rigs where metal is constantly submerged in seawater. If your equipment is continually exposed to seawater, it might be a good idea to look into cathodic protection to prevent corrosion. It can protect any metallic equipment, either before or after manufacture. This option requires a little bit of foresight, but some equipment is made of corrosion-resistant material in the first place. Nickel, stainless steel and titanium alloys are all inherently corrosion-resistant. They aren't corrosion-proof, but with proper use and care, these metals can dramatically reduce the occurrence of corrosion on your equipment. 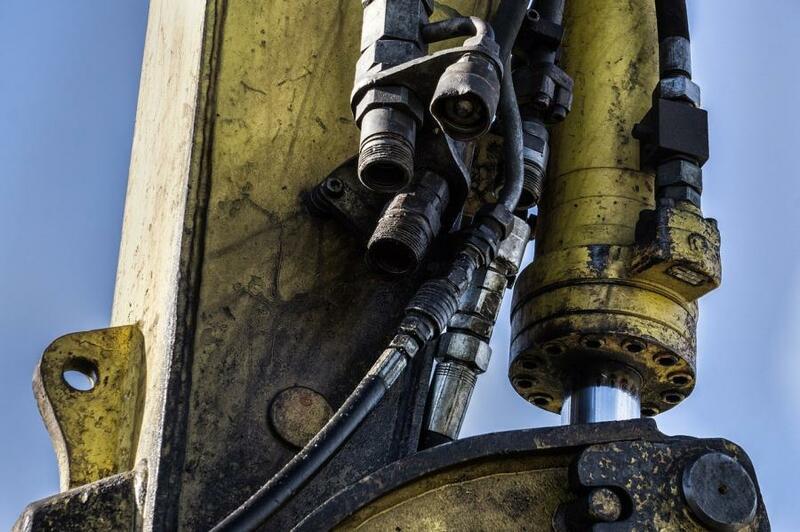 Preventing corrosion on your equipment isn't impossible — it just takes a little bit of preparation and foresight, and the willingness to adapt to changing environments. Don't let it discourage you from working in wet environments. Just take time to protect your equipment investments so they can serve you for years to come. Megan Wild writes is a freelance writer who specializes in construction. You can find some of her work on sites like Engineering.com, Procore, Construction Equipment Guide, and more. Follow her on Twitter @Megan_Wild. What Caused the Genoa Bridge Collapse?